1. The list of transactions that take place (many in heaven) at salvation. Note how they mirror many transactions that we have on earth (such as birth, recording in a book, citizenship, adoption, acquittal of a crime, inheritance). We might think of salvation as all on our side (we say the prayer), but it’s not. And we often forget or don’t even realize that there are a ton of things that are occurring in the unseen realm at the moment of salvation. After praying for salvation, we really are a different person, whether we feel like it or not. 2. The names in the Book of Life have been there since the foundation of the world (Rev 13:8, 17:8). This could spawn a new debate about predestination, which I don’t intend to get in to right here. Suffice it to say that something that’s been written in the Book of Life since the foundation of the world is not going to be erased. 3. Everything is set up to work in our favor. The ultimate set of verses to support our inability to lose salvation is Rom 8:29-39. No future charge against us can stand because our Judge has already justified us. Jesus is continually interceding for us. Plus, nothing can separate us from God’s love. Everything is working in favour of our salvation being secure. What about Christians who have prayed the prayer but don’t act saved? Maybe they’re backslidden or have completely turned their backs on God. Here’s my take on it. Recall that God knows everything, including the past, present, future and potential futures (what might have happened under different circumstances). He knows if someone is going to accept Him or not. He knows if someone is going to commit to Him or not, regardless of what they may say in a time of need or the heat of a moment. God doesn’t make mistakes – we do. Saying a prayer of salvation isn’t a heavenly loophole. Your heart and your intentions play into it. God knows whether or not you are genuine in your intent (both present and future) to follow Him or not. All of the transactions that take place at salvation only occur when the answer to that question is ‘yes’. That being said, we know that there will be carnal Christians in heaven (1 Cor 3:15). These Christians will be saved, but will have lived life so poorly on earth that they receive no treasure in heaven and none of their deeds will last. 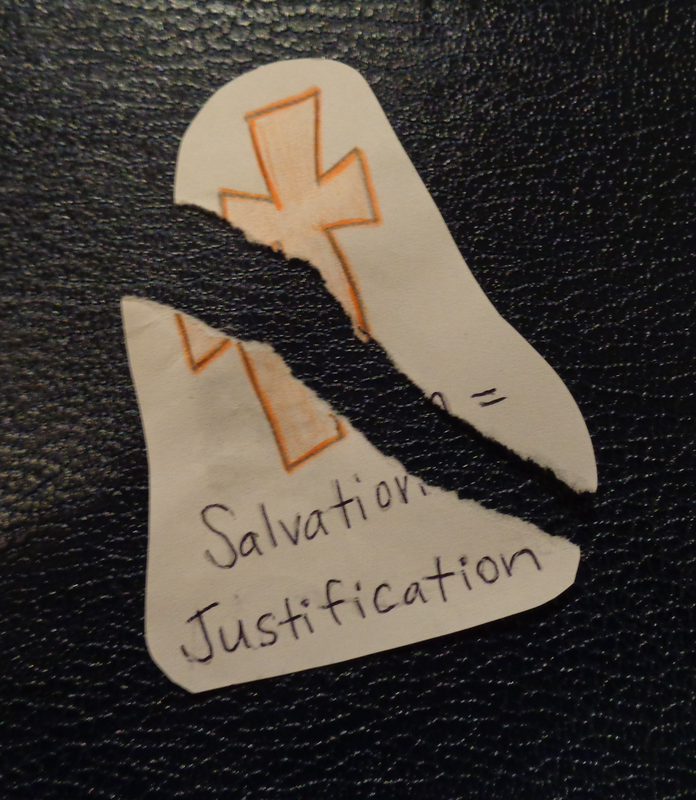 I think the danger in discussing security of salvation is that we judge others too harshly (we assume they are not saved if they don’t ‘act’ saved) and we judge ourselves too lightly (its way to easy to take God’s grace for granted and become a carnal Christian). The right approach is to be earnest and careful in how we work out our salvation – with fear and trembling (Phil 2:12). I think this is a message that we want to impress on our children.